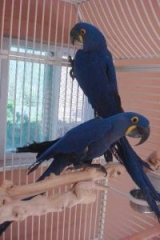 We have a beautiful blue and gold macaw for sale a girl sje is very tmae and used to house hold noises For Lovely Homes! TEXT ONLY at (321) 754-8460... I rarely check my email.